Two actresses have won the award in consecutive years; in chronological order, they are Manisha Koirala (1996–97) and Tabu (2000-01). Manisha Koirala is the only actress who has won the award for a non-Hindi film. She won her first award in 1996 for the Tamil film Bombay, which was dubbed in Hindi. Karisma Kapoor and Kareena Kapoor are the only siblings who have both won the award. There has been only one tie in the history of this category. This occurred in 2003 when Manisha Koirala and Rani Mukerji were both given the award. 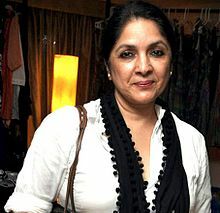 Neena Gupta is the eldest recipient, winning the award for Badhaai Ho (2018) at age 59. Zaira Wasim is the youngest recipient, winning the award for Secret Superstar (2017) at age 17. Eight actresses have won the Best Actress awards in both the popular (Best Actress) and critics categories; in chronological order, they are Dimple Kapadia, Karisma Kapoor, Rani Mukerji, Kareena Kapoor, Vidya Balan, Priyanka Chopra, Kangana Ranaut and Alia Bhatt. Mukerji is the only actress to win both these awards during the same year (2006) for Black. Nine actresses have won the award without receiving a Best Actress nomination. In chronological order they are: Farida Jalal for Mammo (1995), Manisha Koirala for Bombay (1996) and Company (2003), Shefali Shah for Satya (1999), Kareena Kapoor for Dev (2005), Tabu for Cheeni Kum (2008), Shahana Goswami for Rock On!! (2009), Mahi Gill for Dev.D (2010), Richa Chadda for Gangs of Wasseypur (2013) and Shilpa Shukla for B.A. Pass (2014). Among these, Shah, Goswami and Chadda were nominated for the Best Supporting Actress Award. 2009 Shahana Goswami – Rock On! !